Oh, Paris, mon amour. If you've ever been to this incredible destination, there's no denying that it is truly an impressive city. 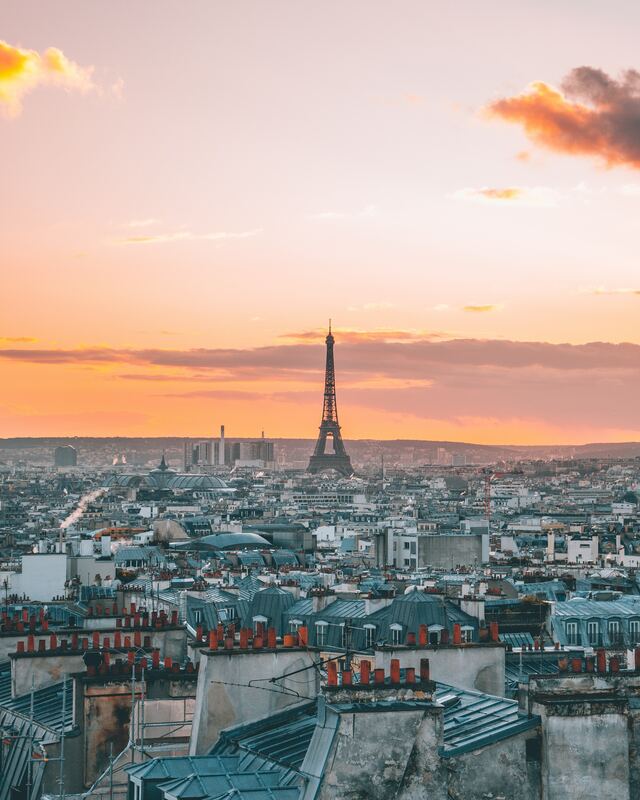 From the remarkable history, the mouthwatering cuisine, to the world-renowned Parisian culture, there is no denying the magic that can be found in the air here. When it comes to hosting a corporate event, we could all use a little Parisian magic, couldn't we? 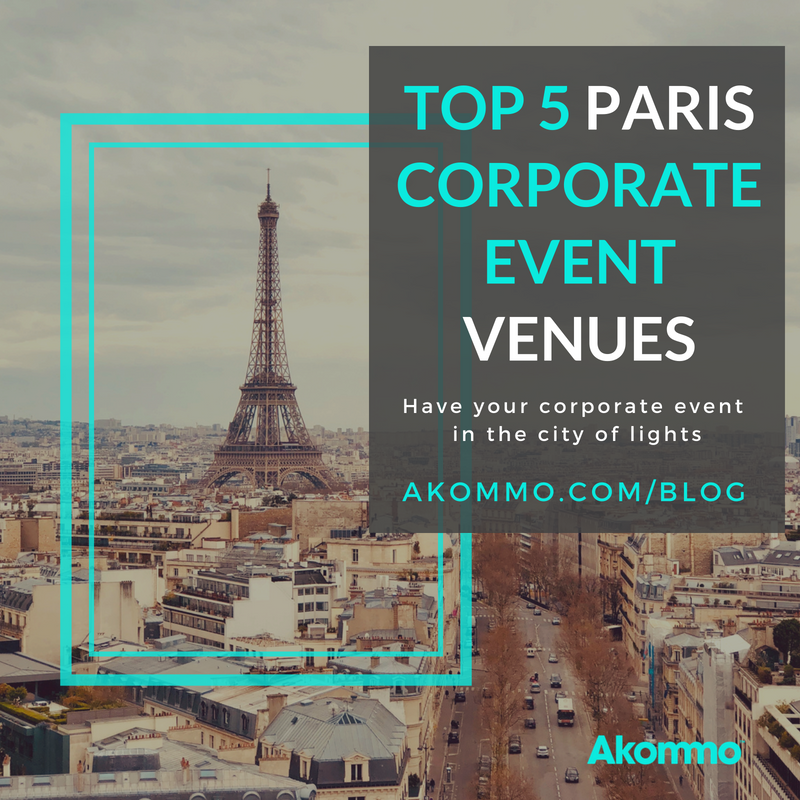 Today we're sharing the Top 5 Paris Corporate Event Venues so your next event is as fantastic as the city is. Whether you're hosting a large-scale corporate conference, a corporate gala dinner, or need the perfect hotel for your guests, we've got options for all of your needs. This conference centre is located just outside of the 18th arrondissement in Paris city. Apart from the easy to access location, this place has an impressively large capacity for guests and for corporate events. With over 8,300m² of space to fit all 5,800 of your guests, this venue is the perfect place for your large-scale corporate event. 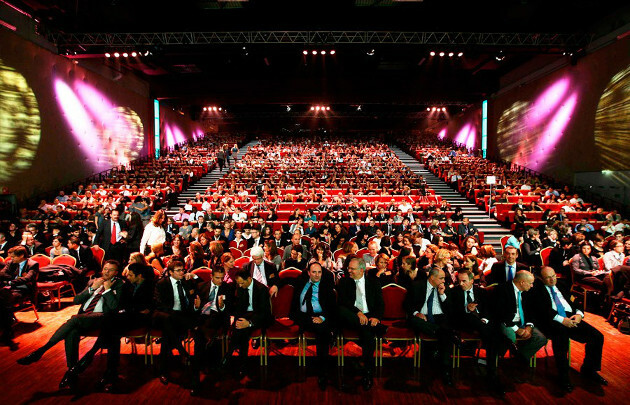 Not to mention, the venue has over 19 meeting spaces, 3 main halls, and 1 large meeting room that can seat up to 1,000 guests! 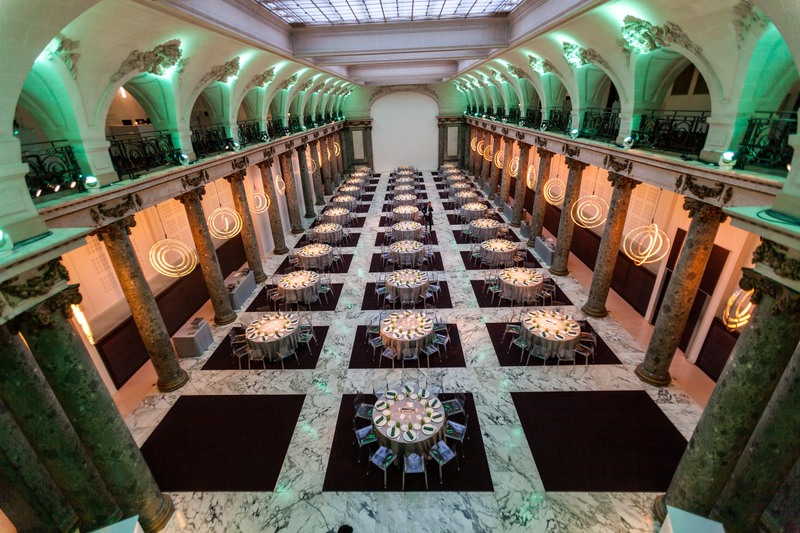 Interested in learning more about this Paris corporate event venue? Fill out a request here and let's chat about your upcoming conference! 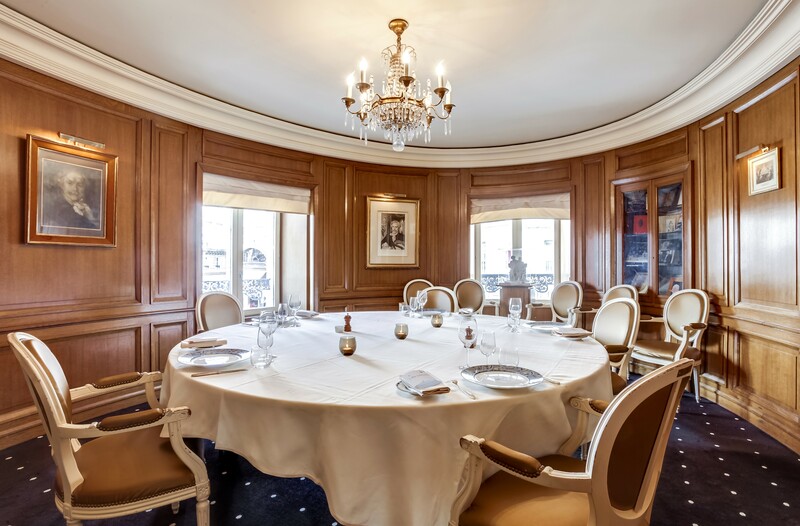 Situated in the 8th arrondissement, this central restaurant makes for the perfect place to host a corporate gala dinner in Paris. 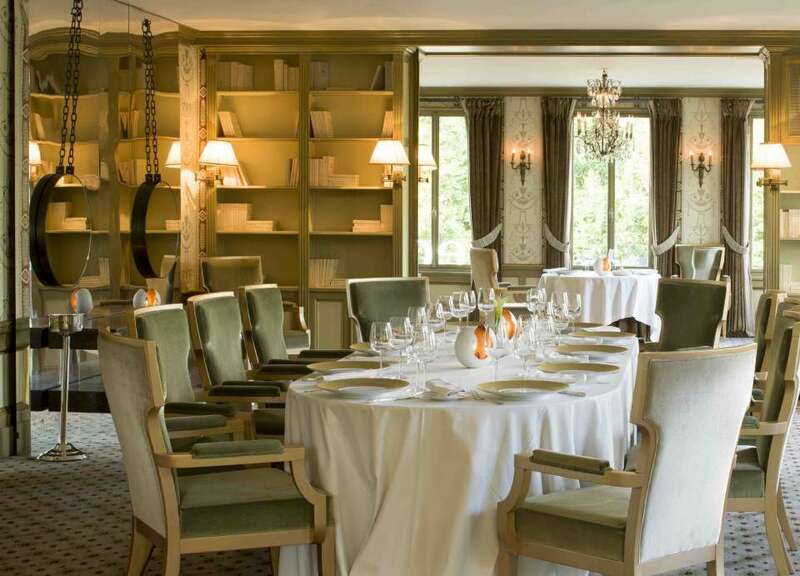 This gala dinner venue offers one of the most memorable gastronomic experiences you can get in Paris, and boasts 3 Michelin stars. If you want your guests to experience a truly Parisian dinner fit for the gods, there is no better option. Looking for a gorgeous, large-capacity French restaurant with a smaller budget? Our team will find the best fit for your corporate event at no extra cost. Imagine sleeping in one of the most emblematic and historic hotels in Paris, just moments from the most renowned landmarks. The doors of this centrally-located hotel opened in 1878, and have been providing incredible service since then. This hotel is especially ideal as it boasts over 400 rooms, all right in the heart of the city of lights. Check out the breakfast set up at this iconic hotel! We can help you find the perfect hotel for your next corporate event in Paris. Look how beautifully this 2-day corporate conference we helped organise in 2015 turned out! In need of a great restaurant to take some of your most important clients? 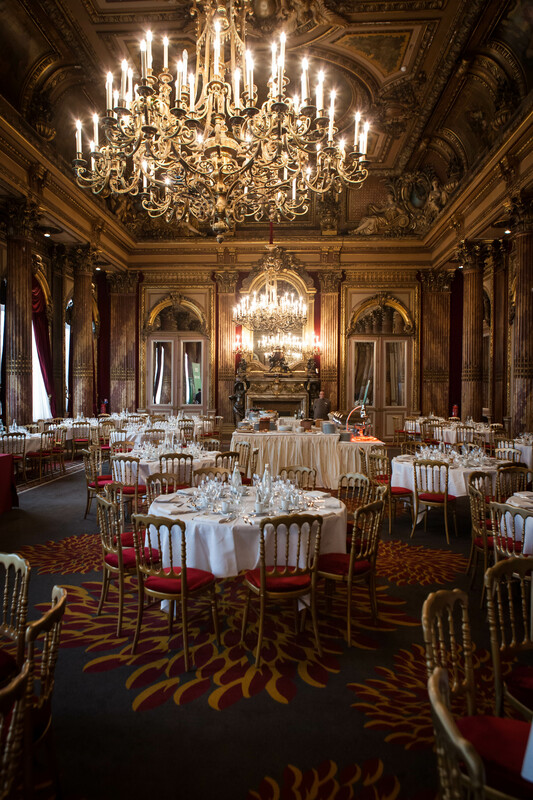 Hidden away among the superstars of Paris, the Opera Garnier, the Louvre and the Paris stock market, the Bourse, this dinner venue is the perfect place to make a great impression. With a capacity of up to 35 seated guests, this makes for a great spot to bring an exclusive, yet not-limited, group of clients. What's more, this restaurant is home to some of the most decadent and delicious French food you will try in Paris. Here are the top locations in Europe for 2018 to host your next corporate event. Once functioning as the former headquarters of the Crédit Foncier of France, this conference centre easily dazzles guests as they enter into the dining hall. The location could not be more brilliant, as this venue is located just a 10-minute walk from the Seine River and the Tuileries Gardens. Our clients particularly enjoyed this venue because of it's high ceilings and open feel, as it created a warmer atmosphere for mingling and networking. If you're interested in more information about these event venues, or you'd like to see more options, contact us today! Our dedicated team will provide you with the perfect options according to your request, at zero extra cost.